Extensive peatlands characteristic for the summit plains of Central European middle-mountains. The complex comprises 30 mire islands of representative patterned mires and raised–bogs, with neighbouring natural and artificial watercourses, fishponds and reservoir shores. 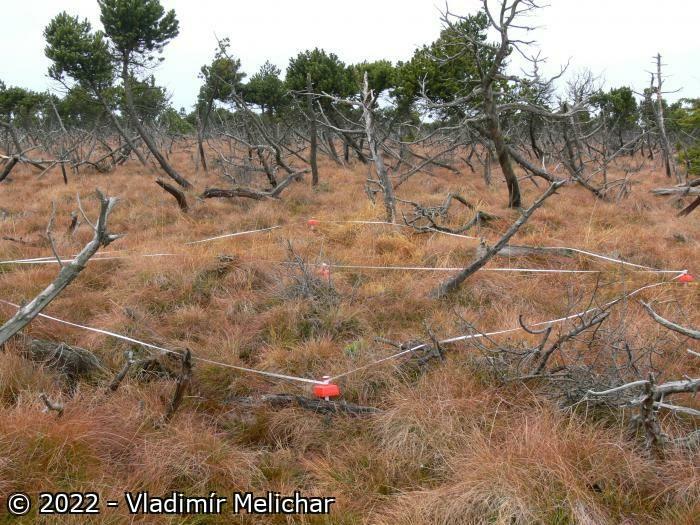 The valuable biodiversity of peatlands insists in occurrence of remarkable lag areas with a mosaic of highly alkaline fens with scattered tree patches, preferred by grouse birds, and of bog expanses occupied by krummholz stands of Pinus x pseudopumilio and Central European endemic tree Pinus rotundata. Extensive complex which includes 30 main mire islands on six main summit plains of middle-mountains Krušné hory. These Hercynian mountains are noted for their prevalence of acidic crystalline rocks, namely granites and highly metamorphosed schists and gneiss, with nutrient-rich intrusions of basalt. Steep climate gradients, from the rainy, cold and windy summit plains to more sheltered leeward slopes, has predisposed the origin of a variety of mires, including patterned mires and forested raised–bogs to types with transient features of plateaux raised-bogs. Since the Preboreal (9000 years ago), most mires have been developing in remarkable upland basins, on water divides and sloping mires, and are accompanied by valleys with characteristic temperature inversions containing alluvial fens. 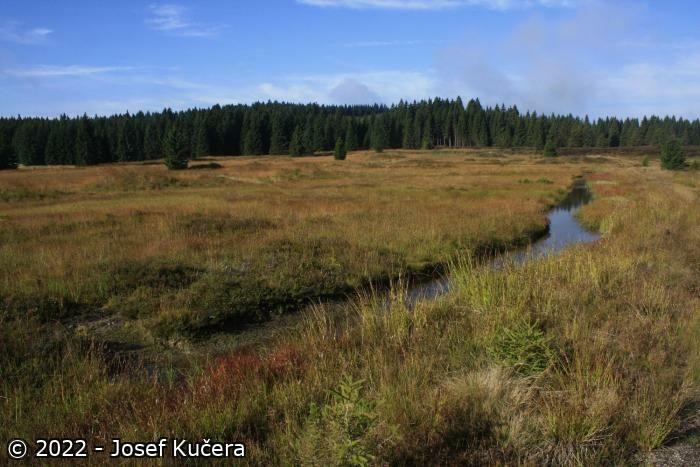 Extensive peatland complex of the summit plains in the Krušné Hory middle-mountains comprises 30 mire islands with representatives of patterned mires, forested raised–bogs including types with transient features of plateaux mires. Their valuable biodiversity insists of occurrence of remarkable lagg areas with a complicated mosaic of spruce and birch waterlogged woods and wet grasslands, preferred by grouse birds, and of bog expanses occupied by krummholz stands of Pinus x pseudopumilio and Central European endemic tree Pinus rotundata. Patterned mires are occupied by string–flark mosaic of communities Sphagno dusenii–Caricetum limosae, Drepanoclado fluitantis–Caricetum limosae, Sphagno cuspidati–Caricetum limosae, Andromedo polifolii-Sphagnetum magellanici, Empetro hermaphroditi–Sphagnetum fusci and Pino rotundatae–Sphagnetum. 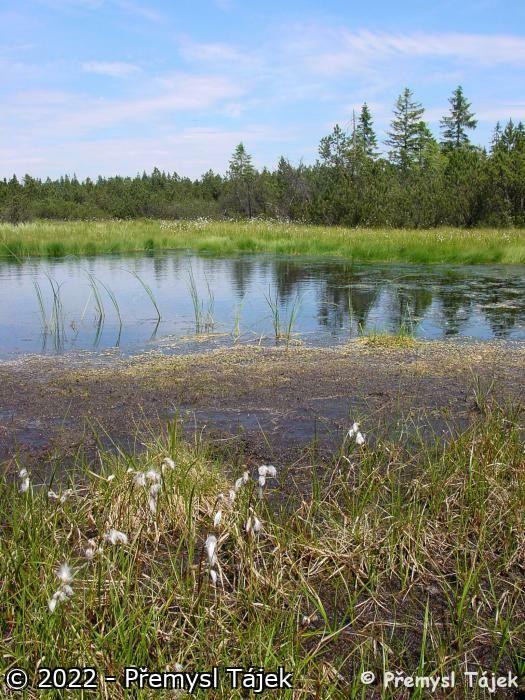 Raised bogs are marked occurrence namely of Pino rotundatae–Sphagnetum, Caricetum goodenowii, Carici rostratae-Sphagnetum apiculati, Eleocharitetum pauciflorae, Crepido-Juncetum acutiflori, Scirpo-Juncetum filiformis, Polygono-Cirsietum palustris and various associations with Eriophorum angustifolium. Most mires in the area are protected as National Nature Reserves (NPRs) and National Nature Monuments (NPPs), some as Nature Reserves (PRs). Such protection (NPR, NPP, PR, etc.) will eventually be implemented for all mire islands, which, so far, have been protected only as Significant Landscape Components. Large-scale overall protection of the area is presently lacking. It is expected that inclusion of these wetland areas as a Ramsar site will raise public awareness to the locality’s natural values – the overall area having suffered from previous communist ideology and its continuing consideration as an area which has forever been spoiled by air pollution (part of infamous ‘Black Triangle’). Mires of the Krušné hory Mts. are mostly faced with interference from forestry activities (afforestation): intensive management of surrounding seriously-disturbed forests caused by airborne pollution. In the past, many of the mires had been subject to peat extraction; in the neighbourhood of villages, mires had been affected by grazing and use for animal bedding (litter). At present, in the last few localities, peat mining at a commercial level is being brought to an end, though efforts to open new mining sites are still a hot issue. A direct impact on the biota within mires is also imposed due to the high concentration of deer, deer being attracted by inaccessibility of mires and hence low disturbance. Increasing interest in cross-country skiing, especially from Saxony (Germany), may increasely bring about new problems, particularly related to endangerment of grouse birds in winter. A few sites, situated above drinking-water reservoirs, are perceived as problems (and hence should be scraped away) due to their brown water being seen to be detrimental to quality of drinking water. Most mires developed in remarkable upland basins, above tectonic faults, on water divides or as patterned mires and are accompanied by valleys with characteristic temperature inversions containing alluvial fens. Remarkable lag areas are supplied by seepage of minerotrophic groundwater, which has resulted in nutrient-rich/alkaline fens of unique biodiversity. Human settlement in summit plains of Ore Mountains has a long tradition corresponding to the extraction of ores, namely silver and tin. In 16th century, intensive tin-washing proceeded along the brooks in inversion valleys adjacent to mires; as a result many alluvial fens disappeared and numerous spoil mounds arose, which are occupied by dry heaths. In the subsequent centuries, when mining activities retreated, many bogs were affected peat extraction and a few areas as documents of this peat–cutting are included inside Ramsar Site. The rich diversity of mires in Krušné hory Mts. relies in their extensive laggs and rills, which include a great variety of plant communities of the class Scheuchzerio-Caricetea fuscae (e.g. Caricetum goodenowii, Carici rostratae-Sphagnetum apiculati, Eleocharitetum pauciflorae) and of the alliance Calthion (e.g. Crepido-Juncetum acutiflori, Scirpo-Juncetum filiformis, Polygono-Cirsietum palustris). 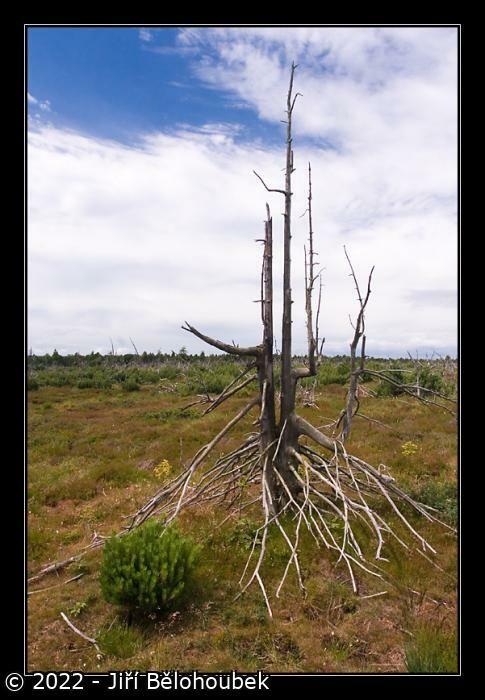 Unfortunately, due to extensive drainage of the whole landscape, after the decline of forests, many of these species-rich communities persist today only in remnants. 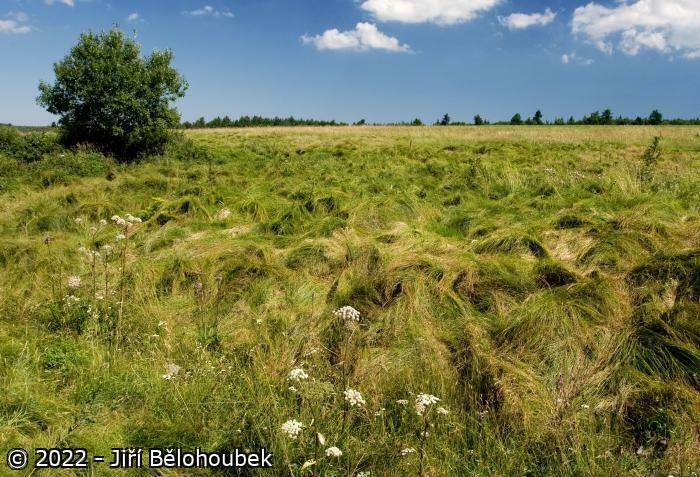 Open mire centres are occupied by ombrotrophic communities of hummocks from the class Oxycocco-Sphagnetea (namely alliances Oxycocco-Empetrion hermaphroditi, Sphagnion medii and Oxycocco-Ericion) and by nutrient-poor communities of hollows and flarks from the alliance Leuko-Scheuchzerion. 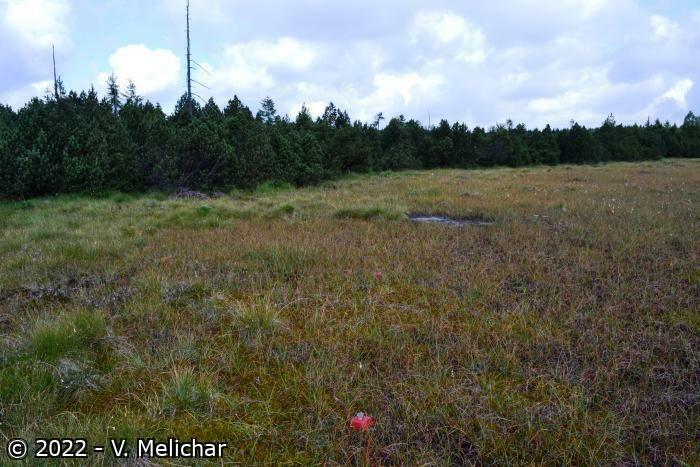 Extensive areas of raised bogs are covered by krummholz stands of Pinus x pseudopumilio accompanied by ericaceous bog plants Vaccinium uliginosum, V. myrtillus and V. vitis-idaea and bryophytes Sphagnum fallax and S. russowii. Hollows in loose waterlogged krummholz are occupied by Drepanoclado fluitantis-Caricetum limosae, Sphagno cuspidati-Caricetum limosae, Sphagno dusenii-Caricetum limosae, and various associations with Eriophorum angustifolium. These ecosystems are occupied by an assemblage of specialized animal species, which do not only occupy mire biotopes (tyrphobionts). 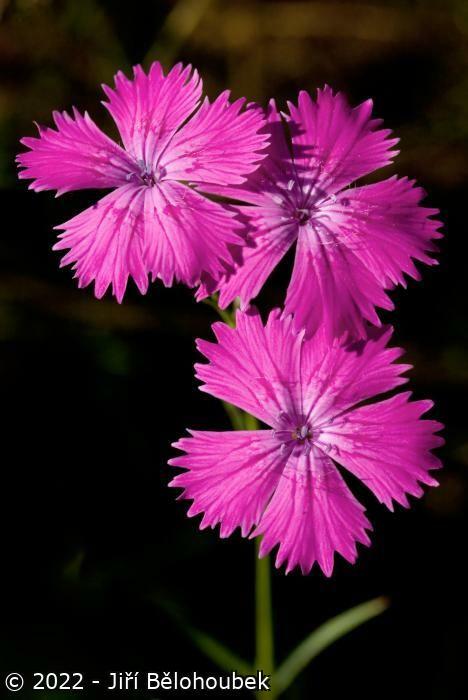 These are represented mainly by small invertebrates, among which are found glacial relict species as there are among plants. Vascular plants: Pinus rotundata (endemic tree of central European bogs), Sedum villosum (seriously endangered species in Czech Rep.), Pinus × pseudopumilio, Carex chordorrhiza (boreal species, rare in central Europe, seriously endangered in CR), C. dioica (rare, seriously endangered in CR), Betula nana, Carex limosa, Coeloglossum viride, Dactylorrhiza longebracteata, D. majalis subsp. turfosa, Drosera anglica, D. rotundifolia, D. × obovata, Empetrum nigrum, Ledum palustre, Montia fontana, M. hallii, Menyanthes trifoliata, Leucorchis albida, Listera cordata, Pedicularis palustris, Pinguicula vulgaris, Polygala serpyllifolia, Rhynchospora alba, Salix repens, Scheuchzeria palustris, Swertia perennis, and Trifolium spadiceum. Bryophytes: Hamatocaulis vernicosus (seriously endangered species in CR), Mnium pseudopunctatum (rare, in CR only Krušné hory Mts. ), Paludella squarrosa (the only persisting locality in CR), Cephalozia loitlesbergeri, C. macrostachya (rare, two of only three localitites in CR), Barbilophozia kunzeana, Cephaloziella elachista, C. spinigera, Helodium blandowii, Odontoschisma sphagni, Pseudobryum cinclidioides, Scapania paludicola, Splachnum ampullaceum, S. ovatum, Tomenthypnum nitens, and among 31 species of Sphagnum the following ones are notable – Sphagnum lindbergii (glacial relict), S. fuscum, S. papillosum, S. tenellum, S. majus, S. balticum, S. magellanicum, S. subnitens. Algae: Batrachospermum moniliforme, B. vagum, Binuclearia tectorum. Invertebrates: spiders – 17 psychrophilous relict species of 1st order, e.g. 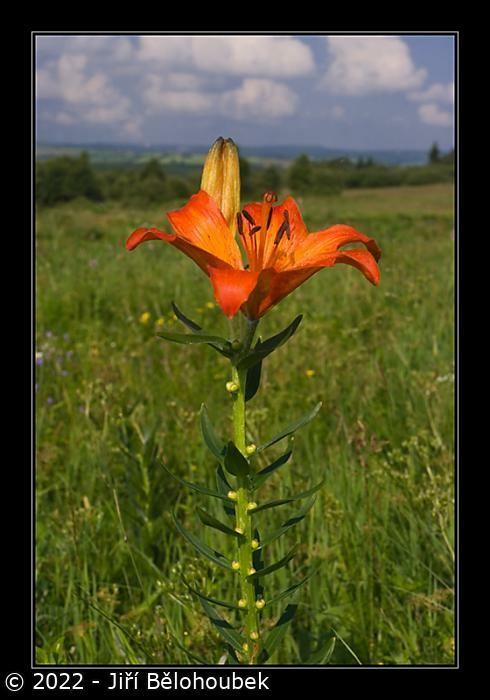 : Clubiona kulczynski, Diplocephalus permixtus, Drepanotylus uncatus, Gonatium rubens, Hahnia montana, Lepthyphantes angulatus, Pirata uliginosus, Sintula corniger, Talavera westringi, Walckenaeria vigilax. Beetles: Agabus affinis, Carabus menetriesi, C. nitens, Crenitis punctatostriata, Epaphius rivularis, Hydroporus ferrugineus, H. longicornis, H. melanocephalus, Ilybius aenescens, I. crassus, Patrobus assimilis, Rhantus suturellus. Butterflies: Colias palaeno. Dragonflies: Aeshna subartica. 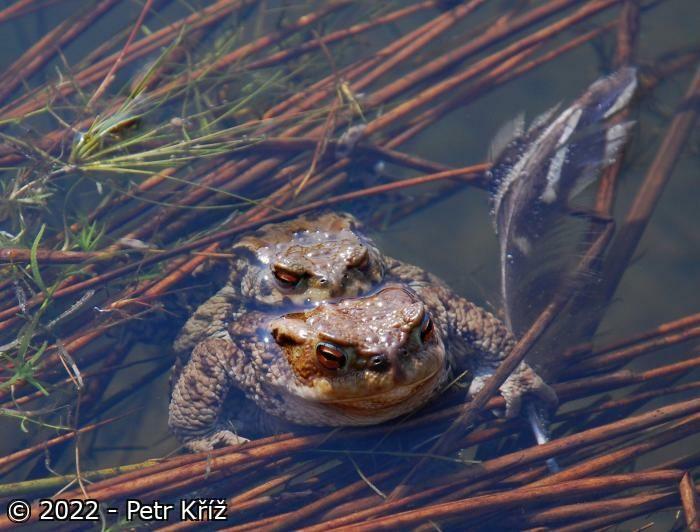 Vertebrates: amphibians Triturus helveticus (the only occurrence in CR at eastern limit of distribution), T. alpestris. Reptiles: Lacerta vivipara, Vipera berus. Birds: Ciconia nigra, Tetrao tetrix, Tetrao urogallus, Tetrastes bonasia, Gallinago gallinago, Scolopax rusticola, Crex crex, Tringa ochropus, Aegolius funereus, Picoides tridactylus, Carpodacus erythrinus. Mammals: Lynx lynx. 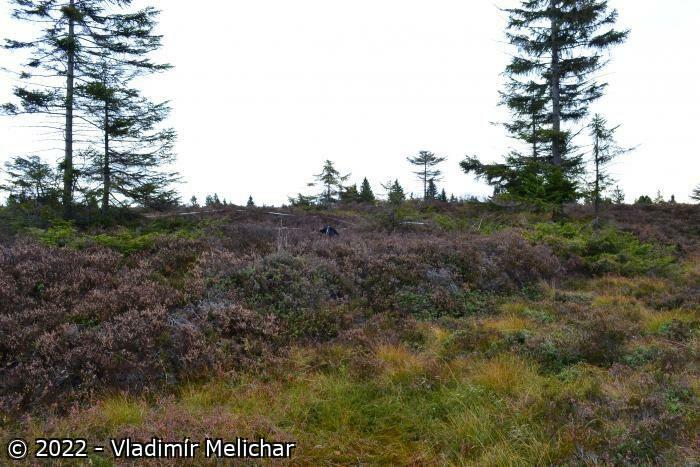 In spite of the famous tradition of peatland research in the Krušné hory Mts., carried out before the World War II in the town Hora sv. Šebestiána/Sebastianberg, present-day systematic research is poor. 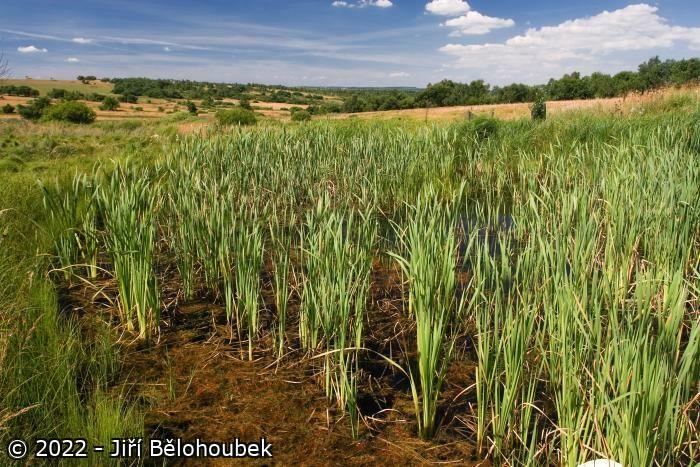 Occasional studies in recent years were focussed at the geobotanical description of the Rolava mires, biodiversity inventories and hydrological monitoring are carried out in Božídarské and Novoveské mires, ecology of vertebrates is analysed in the Cínovecké peatlands. The area is suitable for tourism, there are a lot of marked routes (used mostly from mid-May to September), biking (used moderately in snow-free season) and cross-country skiing. Other activities in this area are: game keeping and hunting - Game animals – red deer (Cervus elaphus), roe deer (Capreolus capreolus), boar (Sus srofa) (all around the year, namely in spring and autumn), berry-picking (midsummer). The site meets criteria 1, and 2. V druhé polovině 20. stol. došlo na rašeliništích k melioracím a napřímení potoků, díky nimž začala krajina vysychat. V rámci revitalizace lokality bylo vytvořeno nové meandrující koryto, vybudována síť nových tůní a vytvořeny 4 ha mokřadních ploch. Voda se do krajiny vrátila, stejně tak řada druhů obojživelníků a jeřábi popelaví.